Holy Week is the most important week of the liturgical year. 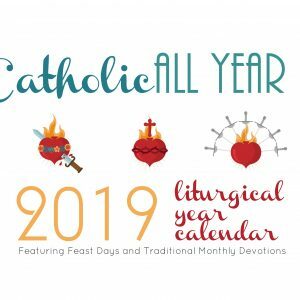 And it’s also the busiest, full of necessary chores and preparation for Easter, as well as meaningful Holy Week devotions practiced by Catholics for thousands of years. 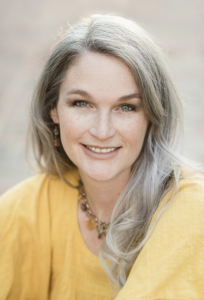 It can be hard to keep it all straight, and get to it all, especially in the midst of busy family life. 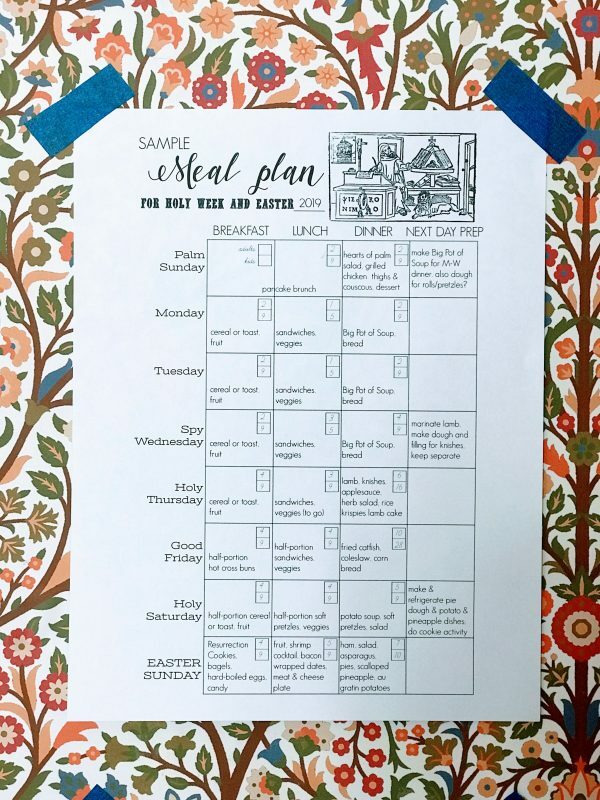 These printable pages are my attempt to keep all we do (and eat) organized in our home. 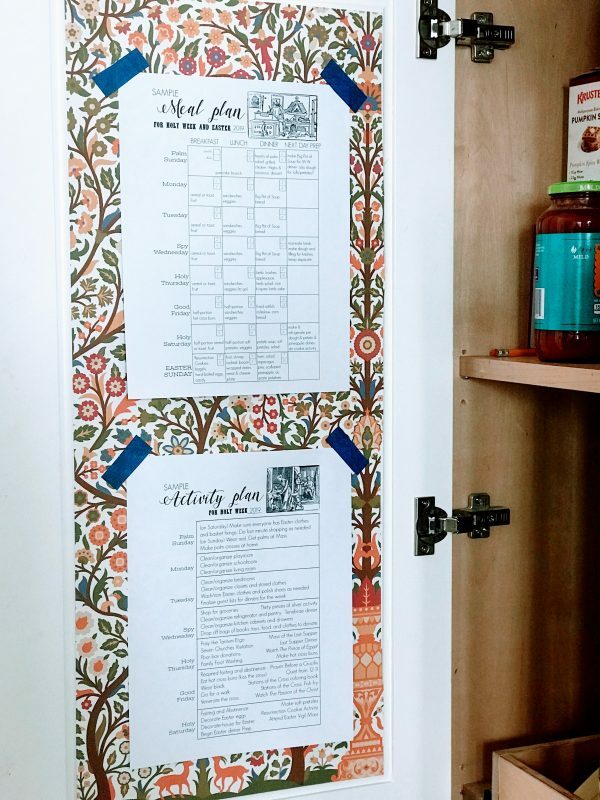 It’s also my hope that seeing it all laid out here in black and white will inspire you to try these traditions in your home, or to revive traditions from your childhood, or create something all new, that works for your family circumstances this year. 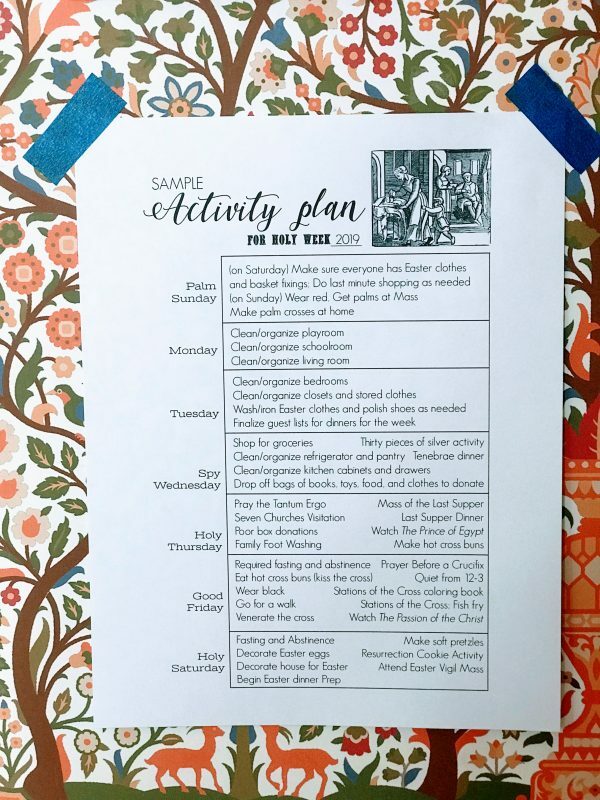 Included is a blank Holy Week Activity Plan, and a blank Holy Week Meal Plan, as well as samples of both filled out to reflect our family’s plans for this year. I didn’t label them with dates, as the dates of Holy Week change according to the date of Easter in a particular year. 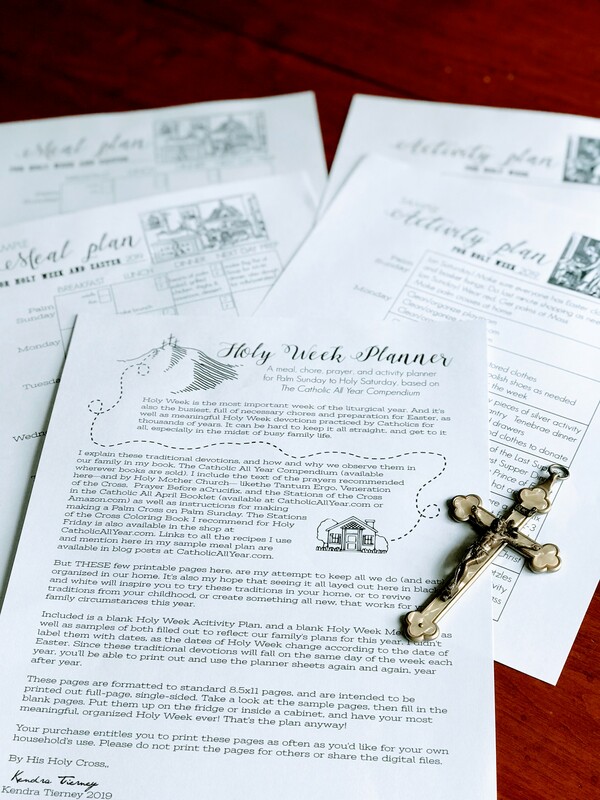 Since these traditional devotions will fall on the same day of the week regardless of the date, you’ll be able to print out and use the planner sheets again and again, year after year. See March’s Prayer Booklet, which includes prayers and devotions for the first five weeks of Lent here as a pdf download or here as a paperback booklet on Amazon. 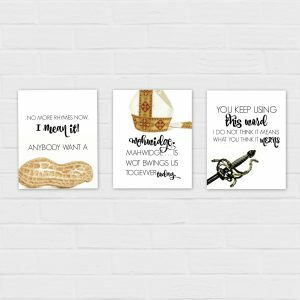 This listing is for an instant download — You will receive two 8.5×11 inch images that you can save to your computer and print on your own printer or at your local print shop. 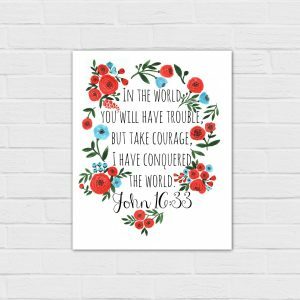 They can be trimmed to fit in an 8×10 frame. 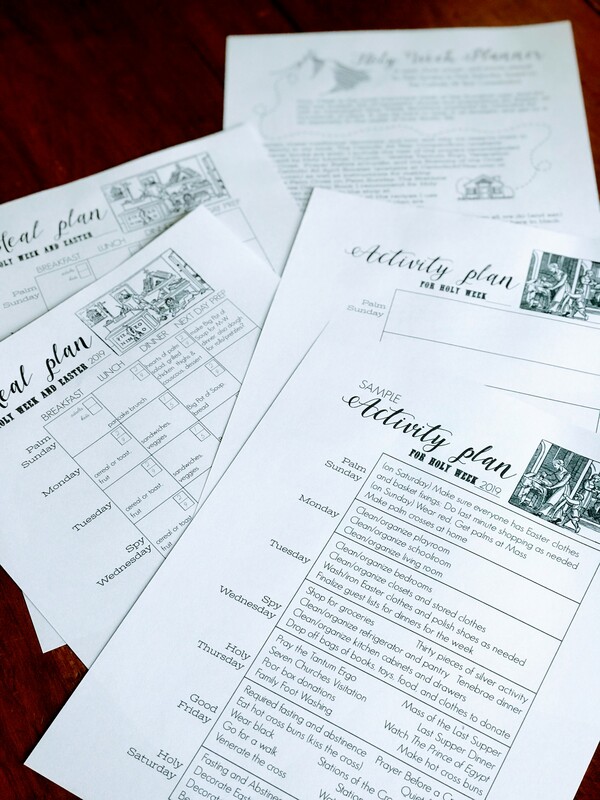 Your purchase entitles you to print this booklet as many times as you’d like for your own household’s personal use. Please do not share the digital files or print the booklet for others. Thank you! For an extended license for group/classroom use, see this listing.